to the EVRYTHNG IoT Smart Products Platform. Our R&D has a relentless focus on three areas: Innovation, Usability and Robustness. This means we’re making sure we continuously leverage the latest technologies in our platform, and do this in a way that makes it as accessible and usable by our enterprise customers, while at the same time ensuring high performance and reliability. First, from the usability perspective, we wanted to make it faster and simpler for our customers to access the critical KPIs for their smart products. We’ve re-engineered our administration and analytics dashboard, given it a new look and feel and made it fully customizable. Now any user, say Business Analysts or Brand Manager, can set up the data visualizations they want and filter on only the products or events they care about. For example, you can see the number of replenishment orders from customers scanning your product and how that compares to last week. Or check out the top performing stores or cities where your product is most popular. Now onto the innovation. How do apparel and CPG products like bottles, jackets or boxes of cereal get connected to the Web? The answer is SCANTHNG, our mobile product recognition toolkit. 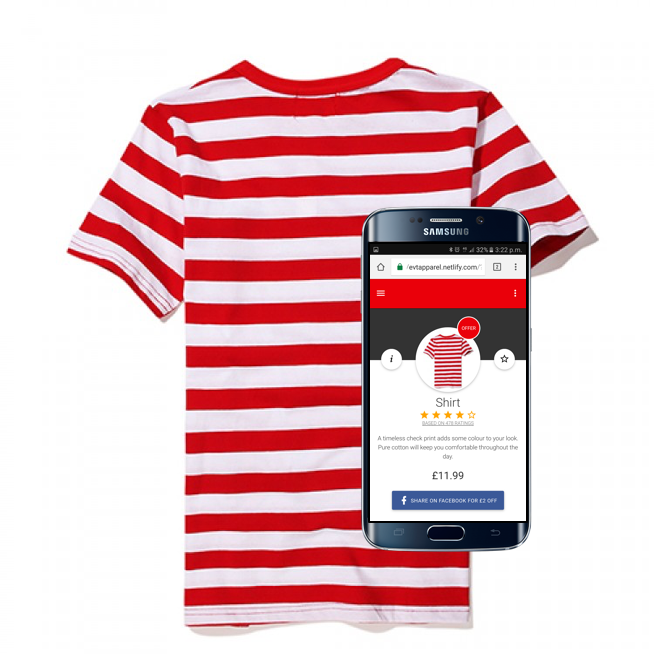 It’s software that can be run in the mobile browser (so no app or download required), to scan and identify any physical product, powered by our powerful digital trigger and image recognition engine. The range of on-pack technology is broad and evolving fast, with anything from proprietary codes to invisible inks to printed electronics. Crucially, it also differs depending on the type of products, packaging material and industry. Responding to this complexity, we’ve enhanced SCANTHNG to offer the industry’s widest possible range of identification technologies, including Image Recognition, Optical Character Recognition, 1D and 2D barcodes and Watermarking, giving brands the most flexible mobile capabilities for interacting with digitized products. And finally, robustness. With over half a billion smart products now being managed by the EVRYTHNG platform, and our enterprise customer deployments continuing to ramp up, we’ve introduced platform architecture changes to handle bigger and bigger loads. We’ve also rolled out a new platform in Europe to cater for growing global demand. Our infrastructure team runs frequent scalability load tests to ensure the platform is optimized for predicted future growth, vital to support recent packaging partnerships (Avery Dennison, WestRock and Crown), where scale to hundreds of billions of items is needed. Single Sign-On (SSO): Improved security with out-of-the-box support for SSO integration with Active Directory using SAML 2.0. Physical Web and Eddystone Support: This allows, for example, brands to create contextual consumer experiences in-store, even customized per unique product. New Developer Hub: This includes a developer blog, simpler API documentation and many more real world use case examples. There have been many other improvements, and there’s plenty more in the pipeline. This week’s announcement of a new round of investment in the company signals we’re moving into a new exciting phase of growth. Expect the platform to do the same!